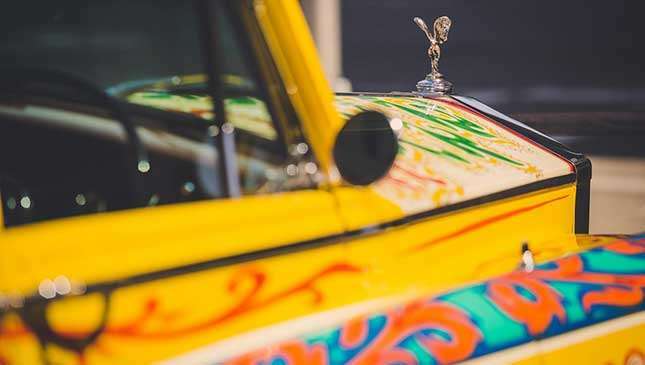 John Lennon was once attacked by a passerby in the street with an umbrella because he had the audacity to customize his Rolls-Royce Phantom V. Quite possibly the most British sentence you’ll ever read—a pop star attacked with an umbrella in the '60s for daring to change a Rolls-Royce. Priceless. Some context for this line. 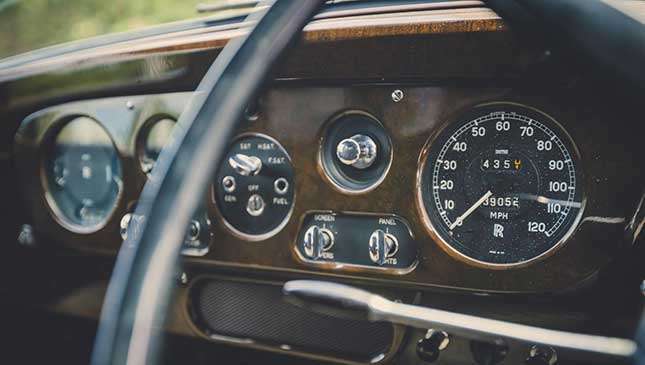 At the end of this month—that’s July—Rolls-Royce will unveil the all-new, eighth-generation Phantom. This is exciting, because the Phantom is astonishing. 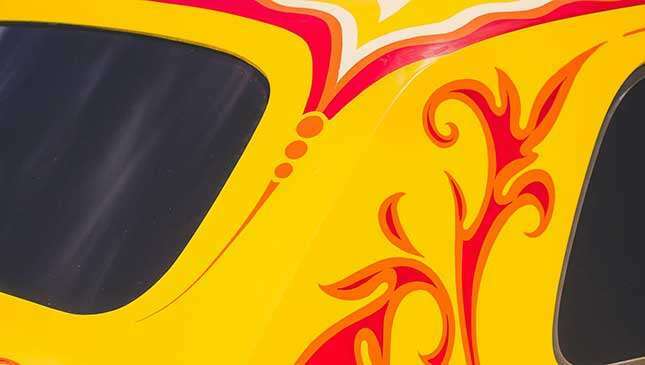 Though production of the seventh-gen Phantom has now finished (boo), Rolls is celebrating the life of the big limo with an exhibition, where it has corralled together eight of the most famous, most celebrated Phantoms throughout history. 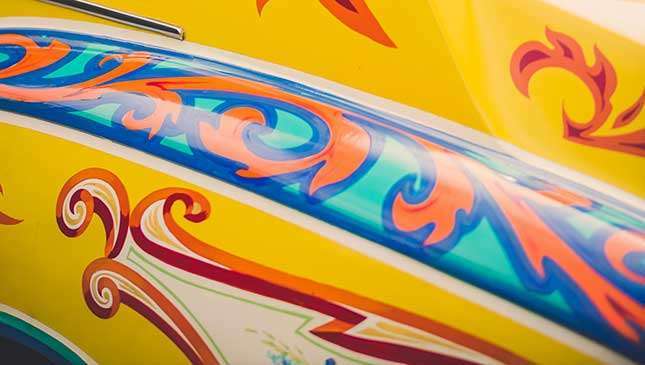 And this is the fourth: John Lennon’s actual, very own Phantom V. Glorious, right? He got it on 3 June 1965, in its original color of Valentine Black. Though this was John Lennon—a man who once said that he wanted to become an 'eccentric' millionaire. And thus, he began customizing his Rolls. First, the rear seat was converted into a double bed, and he had a TV, telephone, fridge, a record player and new sound system installed too. 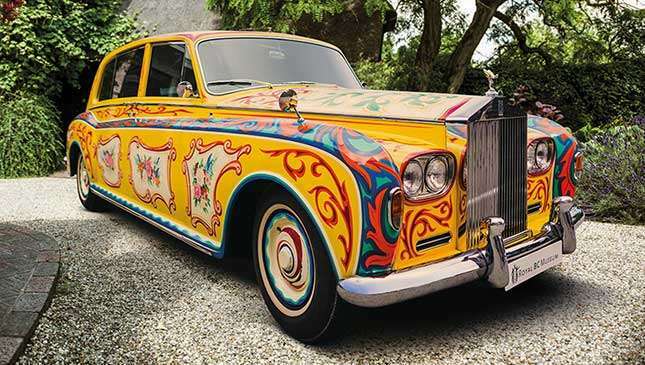 In April 1967, Lennon then enlisted Surrey coachbuilders JP Fallon to repaint the Phantom. And boy, did they repaint it. Stories of the inspiration behind it however, are conflicting: Lennon’s first wife claims it originated from when he bought an old gypsy caravan for the garden, others reckon it came from part of a Dutch art collective who suggested the scheme. 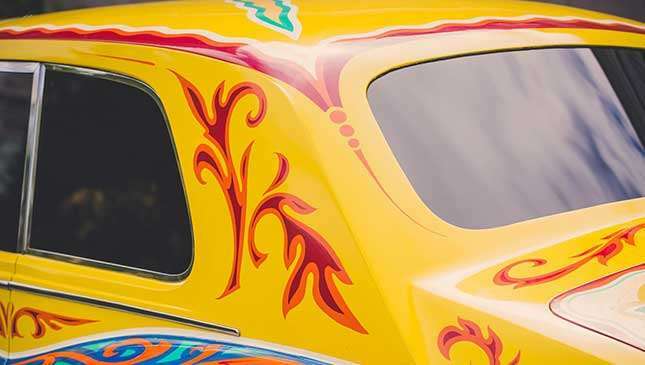 Lennon’s own chauffeur Les thought it was Ringo’s idea, after Ringo drove past a fairground. In any case, it happened. 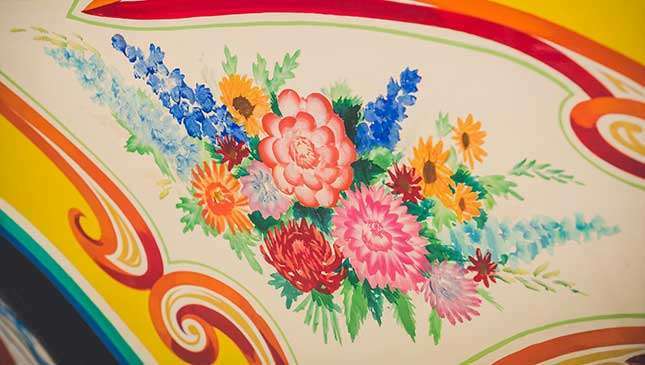 JP Fallon gave the job to a local artist named Steve, who did it all for £290 (P19,000), and the Rolls was unveiled just days before The Beatles released Sgt. Pepper’s Lonely Hearts Club Band (you might have heard of it). Lennon used the Phantom regularly, we’re told, along with the rest of The Beatles, until about 1969, including a trip to Buckingham Palace where he returned the MBE he’d received in 1965 to protest against the Vietnam War (among other things). Following that, he had it shipped to America when he moved there, and loaned it out to other stars of the day. We’re talking The Rolling Stones, Bob Dylan and The Moody Blues. 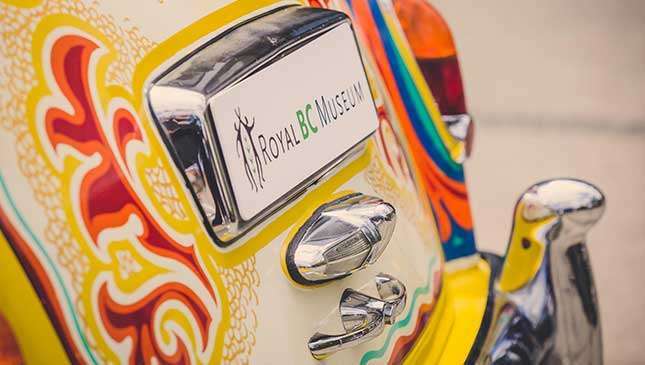 After a period in storage, it was donated to a branch of the Smithsonian in lieu of taxes, and it ended up at the Royal British Columbia Museum in Canada. 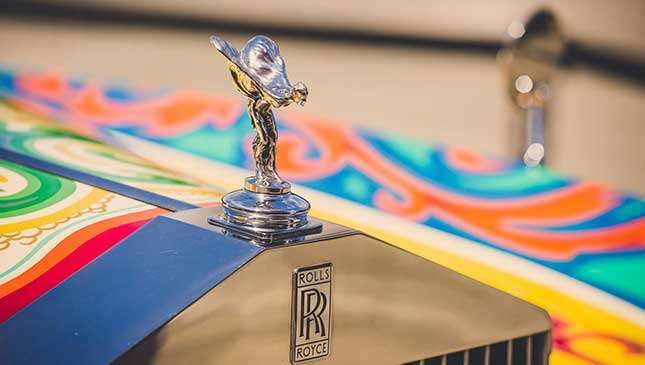 Now it’s back—Rolls-Royce has managed to bring the car back to London and this particular Phantom’s spiritual home, for its exhibition of the ‘Great Eight’ Phantoms. 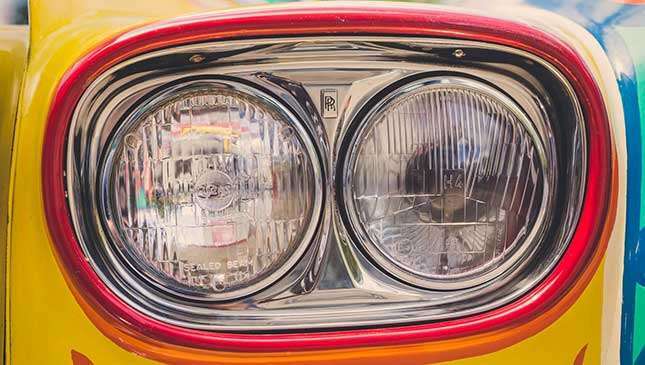 It’ll be on display at Bonhams on Bond Street from 29 July to 2 August.